We choose products for the Food52 shop not only because we're obsessed with them (always) -- most of the time we're just as inspired by the creatives who make them. And we listen up when those makers share their own insight and tips for smarter living. Today: Asya Palatova, the maker of our exclusive votive holders, tells us about how she designs and handcrafts ceramics that are beautiful and durable. Asya Palatova of Gleena Ceramics in her studio; we spy the start of our votive holders and gelato bowls on the bottom shelf. 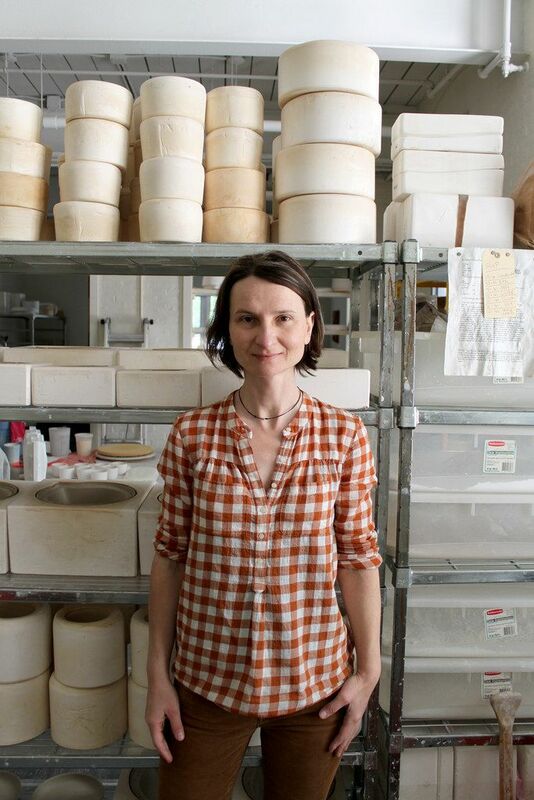 Asya Palatova of Gleena Ceramics makes beautiful ceramics, but she wants you to use them every day. 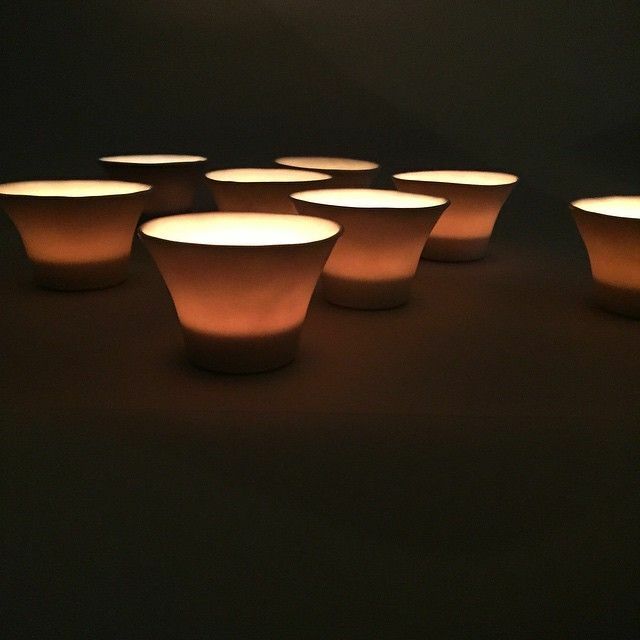 Take our exclusive votive holders, for example; aren’t they pretty? They’re made to also be used as condiment or snack bowls—whether it's trail mix, Goldfish, pickles, or mustard you're fancying. 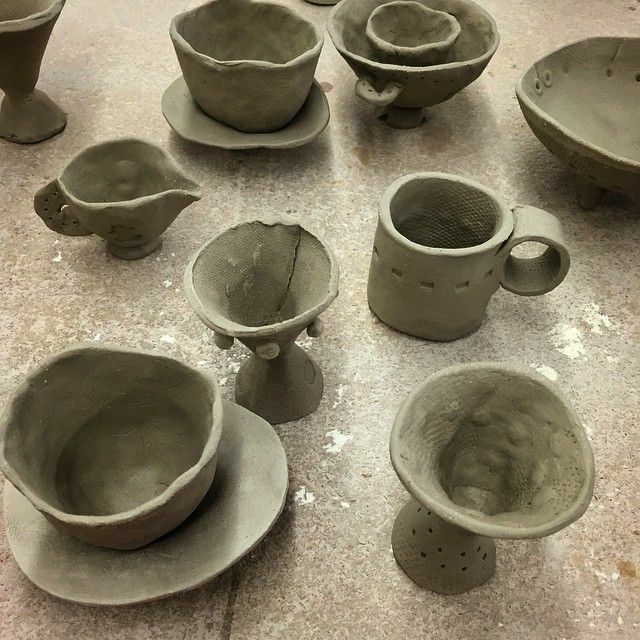 Making multipurpose yet attractive ceramics is no easy feat (they have to be sturdy enough to go in the dishwasher, in our opinion), so we asked Asya how she goes about designing and crafting her pieces—and how we can get in on the fun of playing with clay, too. 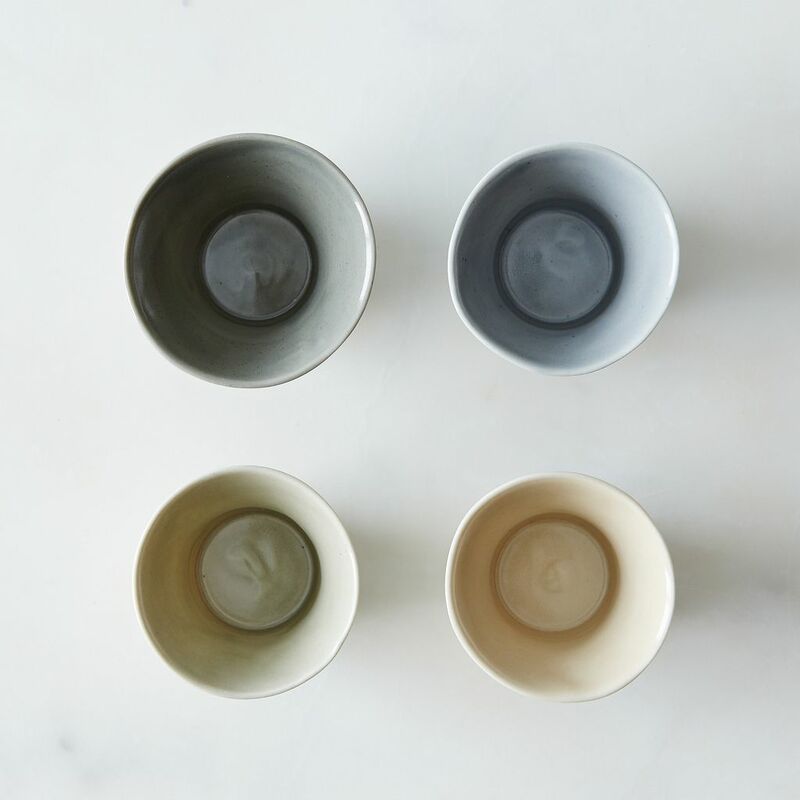 Your ceramics are beautiful but also functional. How do you do it? 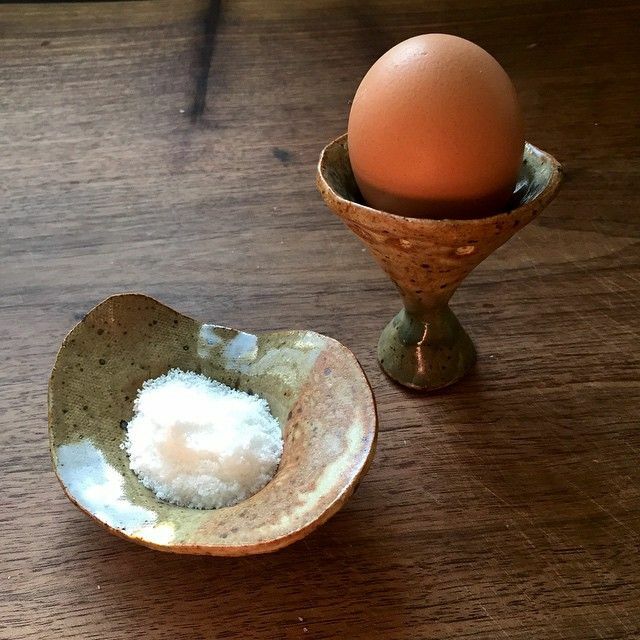 I want my ceramics to be used every day, to be the ones you reach for at breakfast, lunch, and dinner. Porcelain allows me to create pieces that are fairly light and at the same time super durable. I sand the bottoms of each piece, creating a silky surface that feels amazing. I work with high-fire porcelain, which is very dense and does not chip easily. Our exclusive votive holders (or condiment bowls!) from Gleena Ceramics. 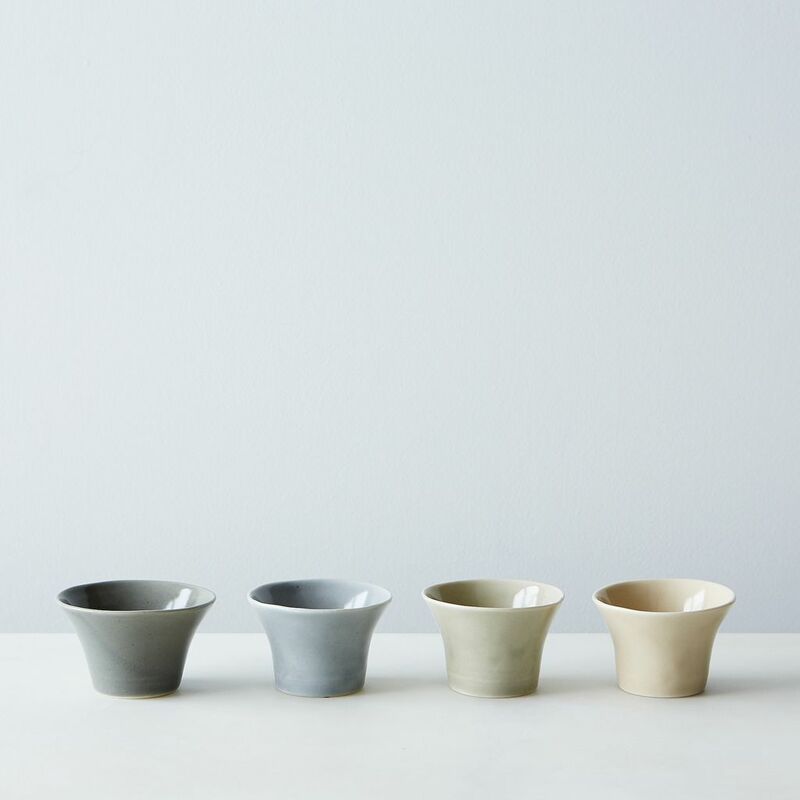 What did you think about when designing the exclusive votive holders for Food52? The votive shapes are inspired by mushrooms, one of my favorite foods. Growing up in Russia, mushroom gathering was a great pastime enjoyed by my whole family every autumn. There are so many varieties, each with its own unique texture and taste. We would sauté them with potatoes; put them on blinis; dry them; and use them in soups, in stews, and in salads. I thought a mushroom-inspired shape was just right for Food52. What else would you use the votive holders for? Their open-shape makes them perfect as condiment bowls, as snack bowls, or as vases to hold one full rose or peony or a low bunch of flowers. They will work well even as planters for small succulents. Votive holders as votive holders, but also as succulent holders. 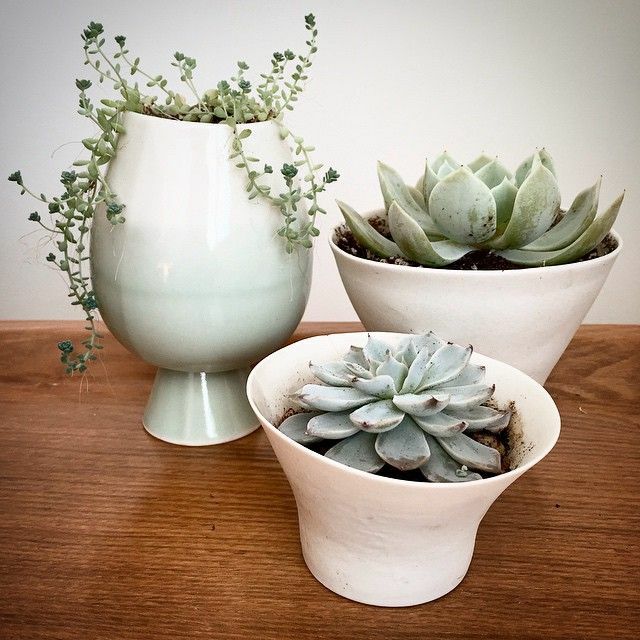 What tips do you have for caring for handmade ceramics? Can yours go in the dishwasher? My pieces are dishwasher safe, but I do not recommend the microwave. Because porcelain is so dense, it should not be taken up to a high temperature quickly. In the microwave, steam is also involved, which could cause cracks that will get worse over time. You also teach a tableware ceramics class at the Rhode Island School of Design. 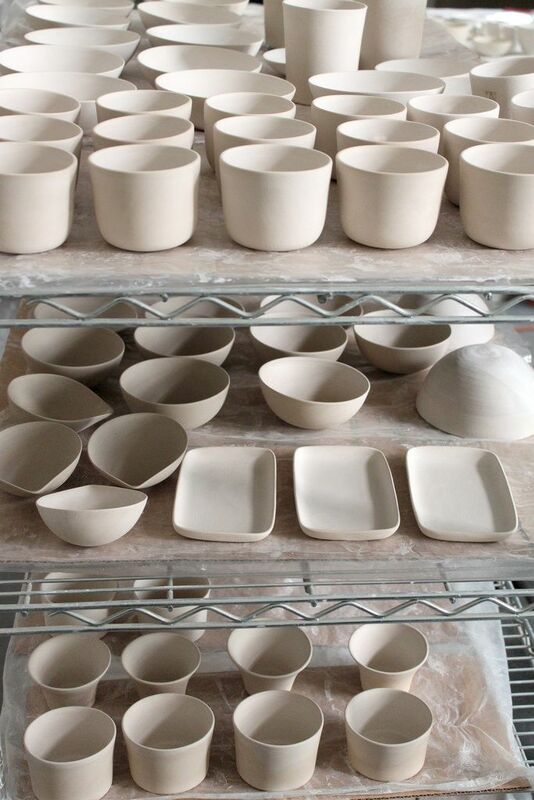 What advice do you have for people who want to start making their own ceramics? Making ceramics brings so much joy. There is nothing like eating out of a piece that you made. Everyone always wants to hop onto the wheel, but I would recommend taking a hand-building course first. With no special tools required, hand-building can be done at home once you learn basic techniques. Of course you would need a kiln to fire in, so getting involved with a local pottery studio is a good idea. Ceramics is a vast discipline, with so much to learn. What’s the first piece people should make? The first piece just has to be a pinch pot. Everything evolves out of that first pinch pot. First you pinch, then you coil and pinch, then you roll out slabs and pinch. It is a great way to get to know the material and to find your own potter’s voice. Third and fourth images by Mark Weinberg; all others courtesy of Asya Palatova.